It’s easy to see why drivers everywhere are so taken with the 2019 INFINITI Q60. Tasteful, forward-looking features abound behind the wheel of the Q60. 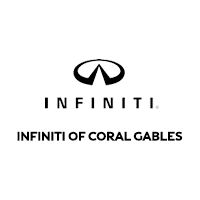 Stop by INFINITI of Coral Gables to see all of the benefits and appeal of the Q60 for yourself. Experience Miami or Coral Gables from behind the wheel when you schedule a test drive today.